During the Year 4 competition, I took part in a few tough Math challenges. My favourite challenge was the “make 24” round where we had to make a total of 24 by + - X or ÷ 4 numbers. This activity really tested my mental maths abilities which made it interesting. The competition helped me to improve and test my maths skills and I was really happy that as a school we came 8th out of 30! 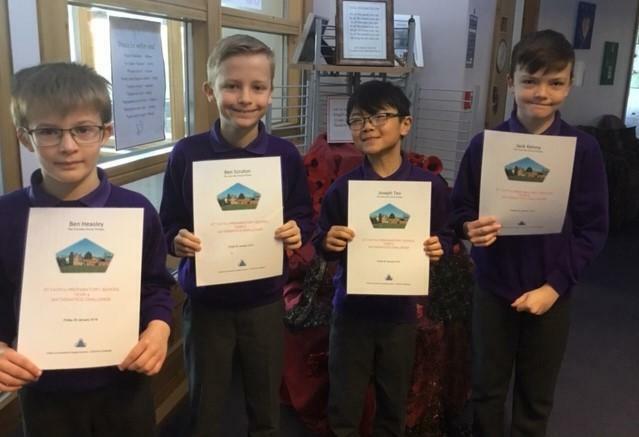 On Friday 25 January, Joseph, Jack, Ben S and myself attended the Year 4 Maths Challenge at St Faiths School, Cambridge. 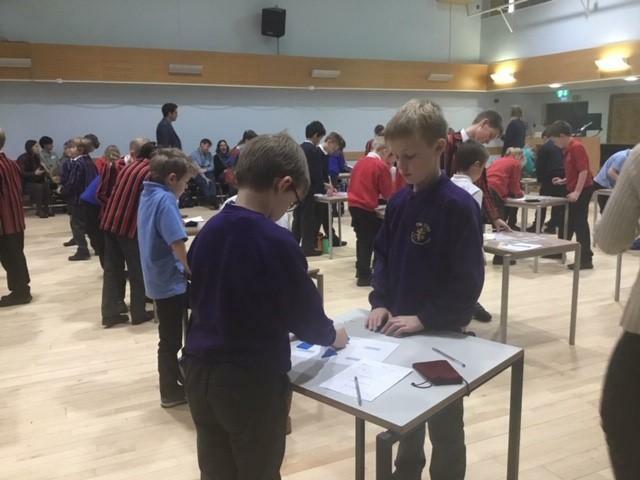 30 schools from all over Cambridgeshire entered. The Vine came in 8th place. The challenges included tangrams, card pairing, mental calculations and much more! We had a great time spending an afternoon learning Maths! 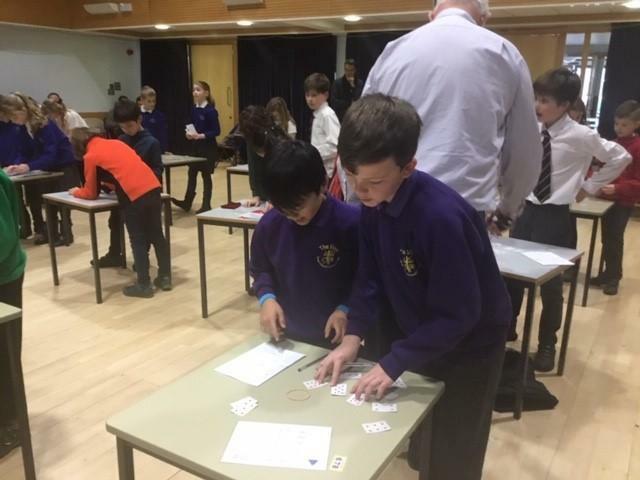 We attended the Maths Challenge (25.1.19) at St Faiths school. Our team of 4 split into 2 pairs. We had to accomplish quite difficult tasks but we managed to get 14th and 21st place out of 60. As a school we came 8th. Mrs Kenny accompanied us and she said that she was very proud of how hard we tried. We came to have fun and show off our maths brains! We would definitely recommend this challenge!